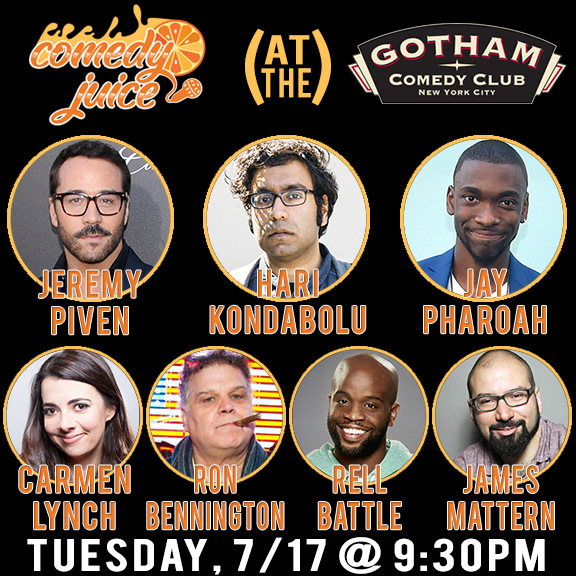 Gotham Comedy Club :: ComedyJuice w/ Jeremy Piven! PLUS: SNL’s Jay Pharoah, AGT’s Carmen Lynch, Superior Donuts on CBS Star Rell Battle, & More! ComedyJuice w/ Jeremy Piven! PLUS: SNL’s Jay Pharoah, AGT’s Carmen Lynch, Superior Donuts on CBS Star Rell Battle, & More!